Layers of maturity, cool vibes and impressive sophistication are unveiled upon each listen to Patrick Sweany’s latest album DAYTIME TURNED TO NIGHTMARE. Musical evolution can branch off in many directions, but the knack of absorbing experience and spinning it in a positive direction is a valuable trait. Without reading too much into Patrick’s past and influences, the two factors of being East Nashville based and released on Nine Mile Records raise hope from the experience of precedence. From this starting point the record doesn’t disappoint and reveals a voice burrowing out if its soul to form a bunch of songs for posterity. Through the neat and rounded structure of ten tracks, the album hovers around a multitude of music styles while forever gravitating to those enthralled by the ethos of the Americana movement. 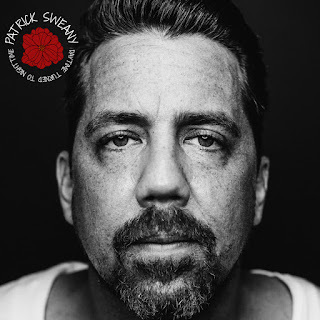 Elements of rawness exist in Patrick’s gutsy vocals and these get refined in a soulful capacity especially on the emotive sounding ‘Too Many Hours’. Like so many records of its ilk, the twang-tinged electrification provides a tantalising backdrop for the songs to flourish and prosper. ‘Here to Stay (Rock and Roll)’ emerges as the track with the lengthiest staying power and evokes a sound synonymous with the early seventies era of cult song writing. Patrick’s career has included around half a dozen album releases and what gets defined as a more up tempo live show to what is revealed on this record. However the multiple listening venues springing up in the UK to cater for the growing demand of high quality American singer-songwriters would lap up the endless laid back rays emanating from the new record. This commences with the opening song ‘First Day of the Week’ and is still running strong when the listener stays fully immersed in the closing pair of ‘Mansfield Street’ and ‘Long Way Down’. If your preference is for Patrick Sweany to dig deep into his blues repertoire then ‘Back Home’ is available on the menu. All ten tracks originate from the solo pen of Patrick who grew up in Ohio, where he musically schooled on classic blues, country, folk and soul before heading to Music City like so many aspiring songwriters. 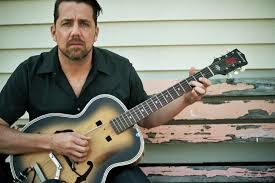 It is no surprise to see him mix with artists who are associated with Allison Moorer, Patty Griffin and Buddy Miller. His music is ready made for the market frequented by folks who like substantial depth to their valuable listening time aligned with an inspirational mix of cultured sound, song and vocals. In the wake of other excellent records released on Nine Mile Records to cross my path namely Anders Kendall, Rebecca Pronsky and Shinyribs, DAYTIME TURNED TO NIGHTTIME is a welcome addition. Think a more soulful version of Jimmy Lafave and you are heading into Patrick Sweany territory. Both artists are the architects of highly listenable records this year and worthy purchases for those with a finely tuned Americana-biased ear.